Your incredible, grand gift will stop her in her tracks! Containing 48 red roses, this romantic bouquet is an impressive gesture that won't leave any doubt about your message! She won't forget this day, and either will you! 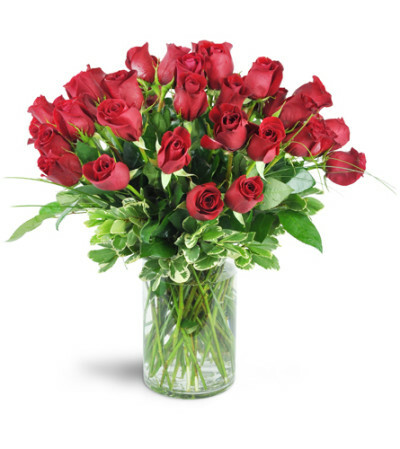 48 perfect red roses are an ideal way to send an impressive display of your love and affection for an anniversary, birthday, and more. Second time using EJF from out of state. Second time recipient was very, very happy and loved the "absolutely beautiful flowers"! Absolutely the best customer service in the game. I ordered flowers for my mom's birthday and they were delivered on time. Even got an email with confirmation of delivery. But because my mom was not home, they delivered them to the neighbors house. My dad sent me an email the next morning and informed that the flowers never showed up. 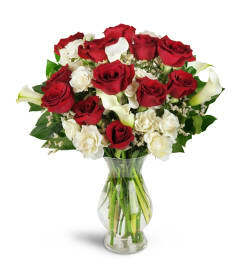 I called Erin Jennifer to ask what happen and they informed that the flowers were taken to the neighbors house. Here's the best part of this review. With out even telling me, some one at the florist got in their car, drove to the neighbors house, picked up the flowers and took them to my mom's the next morning after my call. I want to thank Erin Jennifer Florist for going above and beyond to make sure the customer was taken care of. As a business owner myself, this level of customer service speaks volumes to the type of company Erin Jennifer Florist is. Having my mom in Boca and myself in Chicago, I will use Erin Jennifer for any and all of my flower needs for my mom in Florida!!! Great job!!! Loved this florist! 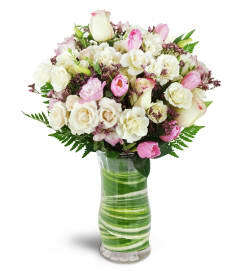 Sent a beautiful arrangement that included white Lilies , pink roses and Daisy's. The photo online looks just as it did in person! My favorite part is you can tell the flowers were FRESH because the lillies and roses hadn't bloomed yet when delivered... in a couple of days they opened up and smelled AMAZING. Wish I could use this florist for Palm Beach Gardens/Jupiter deliveries.